Come one, come all! You are welcome to celebrate Christmas with our fellow OMC seniors at this year’s Christmas Senior Social on Thursday, December 21, 2017. 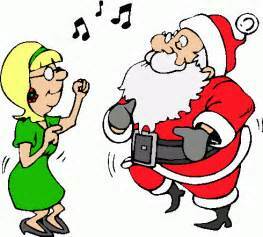 Entertainment – Christmas Music and Sing Along! Menu: Baked Ham, Scalloped Potatoes, Grilled Vegetables, Salad, Rolls and butter, Christmas Dessert. Only $7.00 due at the door. Please sign up ahead of time by contacting Ellie at 858-395-5570, or by signing up in the gathering space. We want to make sure we have enough Christmas Cheer and Christmas food to go around! God bless you, and we look forward to seeing you on December the 21st.